Steve Schwarzman is the co-founder and Chairman and CEO of Blackstone, which is the largest alternative asset management firm in the world. 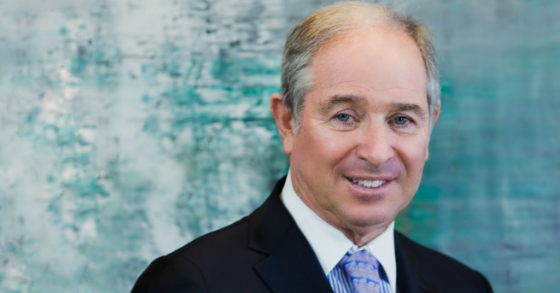 Schwarzman has built a financial colossus and extraordinarily successful asset management firm that is by far the global leader in alternative investments. Its success and wealth creation has been particularly notable in its real estate and private equity divisions. It also has an advisory business, a large credit platform, and hedge funds that have done well. They are now making a huge push into infrastructure investments via a targeted fundraising of $100 billion of which $20 billion would come from Saudi Arabia. Given how successful Blackstone has been over a very long period of time I am always interested in what Steve Schwarzman has to say. Schwarzman was recently interviewed at length by Bloomberg. He discussed his thoughts about President Trump, his disappointment with the stock price, hiring a key lieutenant in Tony James, how he and the firm became deeply involved with China, and some important lessons learned over his career. I wanted to highlight a few nuggets that I believe have applicability to investors and investment management firms like CWS. 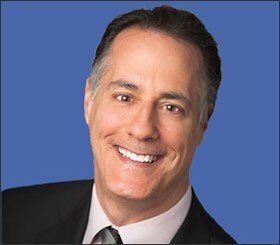 One of the important things I have learned in my 30 years at CWS are that the best opportunities come when there is tremendous dislocation and people are forced to sell to cover financial obligations, to narrow their focus, or to handle problems that are taking up an inordinate amount of time, talent, and treasure. Those companies that keep their cool and rationality when things get very bubbly and stay out of the fray are the ones who are best positioned to take advantage of the opportunities materializing from a downturn provided they have access to capital and the courage to take action. Schwarzman attributes Blackstone’s great success during the downturn and recovery to this. JK: Why did that make Blackstone so resilient after the financial crisis? SS: When we went into the crisis, we already had the platforms. As the opportunities presented themselves, all of our businesses were in great shape. We didn’t have to deal with the world of problems. We were good underwriters, and the opportunities were profound—they were almost everywhere. And so that enabled us to enter those different business lines further. We basically raised very, very large-scale capital from everyone we could. The more successful the outcome, the more they wanted to give us. And it became a virtuous circle of doing well for them, looking for new opportunities whenever we could, and them giving us very large amounts of capital. Our timing was right for all of these different opportunities. The system we designed, of being able to see across asset classes and controlling risk, informed us where we should be and not be, which enabled us to grow very large-scale businesses with a small number of people. I think for people who weren’t set up like that, it was much more difficult. Blackstone’s wide purview and ability to deploy large amounts of capital globally made it one of the only go to firms who could provide large amounts of liquidity quickly to sellers with huge portfolios that needed to shore up their capital (e.g. GE Capital). They had people who could identify these opportunities, negotiate the deals, and a deep bench to underwrite them given their involvement in acquisitions and lending on a large scale basis around the world in virtually all product types. Schwarzman elaborates on how important it is to not have to be on defense when everyone else is because that is when the best opportunities present themselves. One must design the firm and the corresponding capital strategy to be able to have money when others don’t and the resources to take advantage of those opportunities because they are not bogged down solving problems. JK: One of the things that the growth of real estate—and other businesses you developed like GSO—gave you was a deep bench. SS: It was beyond a bench. At that point, we had four ­platforms—private equity, real estate, credit, and hedge fund, with great people—that were among the largest in the world in the alternatives space. So we were talent-long and were perfectly positioned. And we didn’t get into trouble, which is very important in finance. Because if you get in trouble in finance, you have only so many people working at your firm. If they’re all working on messes, they can’t be doing investments; there isn’t enough bandwidth. So part of what benefited us was that we’re risk-averse. I have a saying: There are no brave old people in finance. Because if you’re brave, you mostly get destroyed in your 30s and 40s. If you make it to your 50s and 60s and you’re still prospering, you have a very good sense of how to avoid problems and when to be conservative or aggressive with your investments. Schwarzman makes the important point that people in finance who have had long careers are rarely Cowboys because the aggressive ones will have often suffered some bad losses which will have made it difficult for them to continue to raise money, especially during downturns when the best opportunities present themselves. Those that do prosper over the long-term are risk managers first and also know when to take aggressive action when the odds are in their favor. This is akin to the Munger Moment that I write about in my book. Finally, he points out a big distinction between financial firms that are highly leveraged and can experience “runs on the bank” and industrial firms that rarely go out of business overnight. Sears is a perfect example of what Schwarzman is alluding to, although it’s technically not an industrial firm. It has been dying a slow death for over a decade and yet still remains in business. A financial firm can collapse shockingly quickly when creditors call in their loans, deposits flee, or new loans cannot be accessed at all or on any kind of cost effective basis. JK: Was that a lesson from your days at Lehman Brothers? It’s been said that markets go up like escalators and fall like elevators. This is what can happen to financial firms with significant leverage when creditors run for the hills and they can’t access money. If this happens it can impact Blackstone’s ability to grow if they need to utilize borrowed money for acquisitions or can slow down the disposition of their real estate and company holdings because buying power has been diminished among prospective buyers. The underlying businesses they own, however, if run well and sufficiently capitalized, should be able to weather the storm so that value is not permanently impaired. Blackstone’s business model does not have the same existential risk built into it like those of Bear Stearns, Lehman Brothers, AIG, Fannie Mae, Freddie Mac, Washington Mutual, etc. Are you familiar with Steve Schwarzman? What was your biggest takeaway?